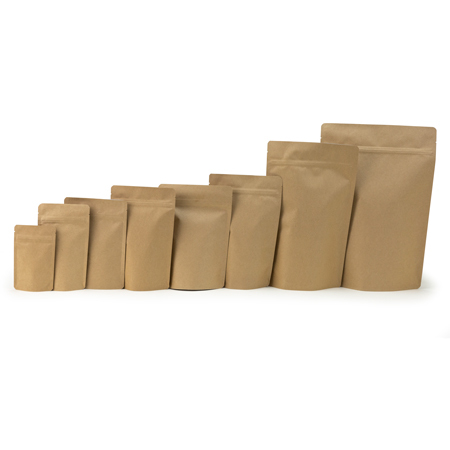 This 4 oz Biodegradable Kraft Stand Up Pouch is a certified-- 100% Biodegradable & Compostable packaging! That means you will be helping the environment by creating less waste! We always encourage to try a sample with your product to ensure accuracy in weight, as we based the 4 oz in coffee beans. You can add 1 piece to your shopping cart right below.